TOKYO -- Subaru is considering Autoliv's stereo cameras for its driver-assist system as the Japanese automaker looks for options beyond a Hitachi unit that has been a supplier for almost a decade, people with knowledge of the matter told Bloomberg. The company is evaluating both the suppliers' prototypes for its EyeSight system when another upgrade is planned in 2020 and a decision may be made as soon as the next two months, according to one of the people, who asked not to be identified as the matter is confidential. Since its introduction in May 2008, Subaru's EyeSight system has won the highest safety ratings in Japan and the U.S. If Subaru chooses Autoliv, the deal would be the first for the Swedish maker in the vision component segment in Japan. It could thwart Hitachi Automotive Systems Ltd.'s ambition of targeting a 10 percent share of the information and safety market, which the Tokyo-based supplier predicts will be worth more than 3 trillion yen ($27 billion) by 2020. Global automakers are developing sensing technologies using cameras, radar and lidar to improve safety of self-driving cars under development. Representatives for Subaru, Hitachi Automotive and Autoliv declined to comment on the companies' future business. 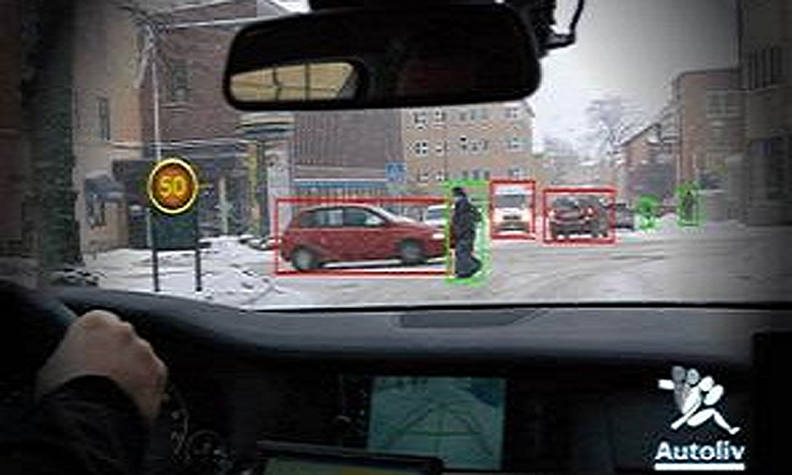 EyeSight is the first driver-assist system to use only stereo cameras to detect objects such as vehicles, pedestrians, cyclists and motorcyclists, Subaru said. The carmaker plans to update EyeSight with the functionality of autonomously following a car on congested highways this year, and plans to add fully autonomous highway driving, including the capability to change lanes, in 2020, according to the company. Hitachi Automotive and Subaru started joint development of stereo cameras in 2004, the component maker has said. Stereo cameras typically have two or more lenses with separate image sensors for each lens, giving it the ability to capture three-dimensional images. Subaru has sold 1 million vehicles equipped with the EyeSight as of the end of last year. The automaker said in December EyeSight-enabled vehicles had 61 percent fewer accidents resulting in injury or death per 10,000 vehicles than those without it, citing data from Japan's Institute for Traffic Accident Research and Data Analysis. Over 90 percent of Subaru cars sold in Japan last year are equipped with EyeSight, it said. Besides Subaru, Hitachi Automotive also supplies stereo cameras to Suzuki Motor Corp. The Hitachi unit also makes inverters, motors and brake components. It counts Renault SA and partner Nissan Motor Co. as its largest customers, which accounted for about 30 percent of the 1 trillion yen sales in the year ended March 2015, according to the company. Subaru contributed about 8 percent of Hitachi Automotive's revenue. Autoliv, a maker of airbags and seat belts, is expanding active safety products sales. It said last month it will supply the new Mercedes S-class with radars, stereo and monocular cameras.